Understanding what makes people tick will help you make the shift from managing to leading a project. 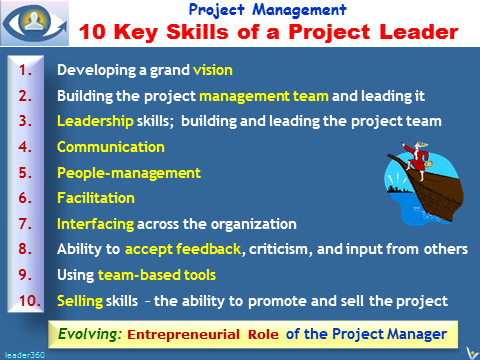 While managers are the brains of a project, visionary and entrepreneurial leaders are the heart of it. The essence of leadership means inspiring a team to work together for a common stretch goal. Leaders motivate and work with people to keep them bonded and eager to move forward. They set a direction, communicate it to and keep people enthusiastic when times get tough.